Open the vidscrip app, tap "Sign Up". 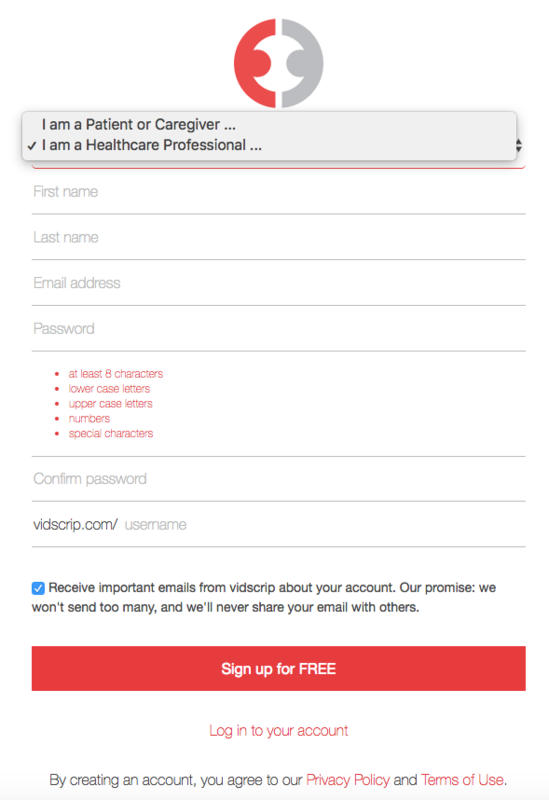 Upon being activated, a prompt will appear in the vidscrip app asking if you would like to use the app as a healthcare professional - tap YES if you plan to use the app as a healthcare provider. If signing up online, the option to choose healthcare professional or patient will appear when entering your name, email and a password. *If you do not receive the activation email, please check your SPAM folder. If it is not there either, tap “resend code” or please email support@vidscrip.com and we will be happy to help activate.